Both of my girls are huge fans of fruits, give them any fruit and they absolutely fall head over heels for them. Any time of the day. Now veggies, on the other hand, they eat and enjoy but, not as much as the fruits of course. My daughters both enjoy the pureed concoctions that are offered by big manufacturers, I think part of it is the delicious flavor and the other part is that it’s squishy and they can take their snack–anywhere they go! Though some may find it unconventional for older kids to enjoy these type of snacks, I think that it is better than reaching for junk food when you are out and about. While reaching for a whole fruit or vegetable is simple, nothing is more than convenient than having a Squishy Snak Pak that is really fast food that you make! And it’s fun to eat! As a mother, I like that you can get purees that are mixed with fruits and veggie and the kids are none the wiser. Unless you purchase organic versions of these packs, you really may not know what your kids are taking in. Even then, you have to be careful. We are a busy family always on the go and finding ways to provide fast, fun and healthy food is a must. 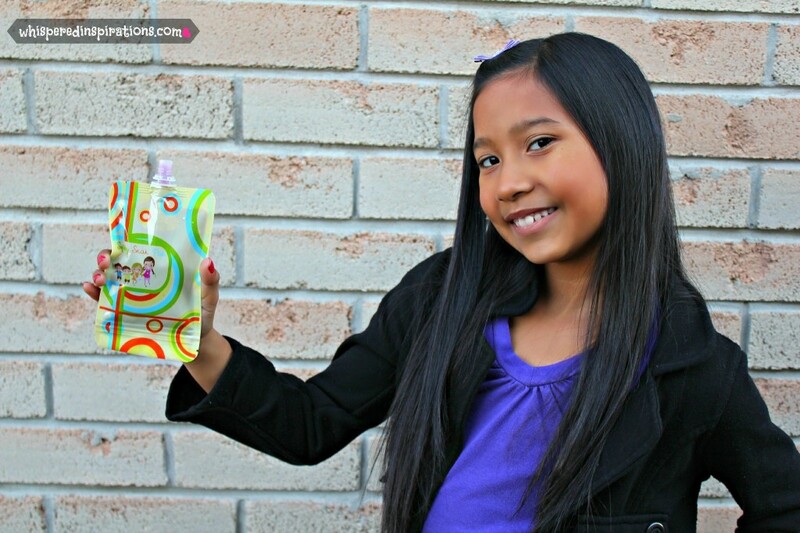 The Squishy Snak Paks are snack containers you can fill from the bottom, squish it out the top and enjoy! The Squishy Snak Paks are made from BPA free materials and feature a choke proof cap along with a heavy duty zip closure. 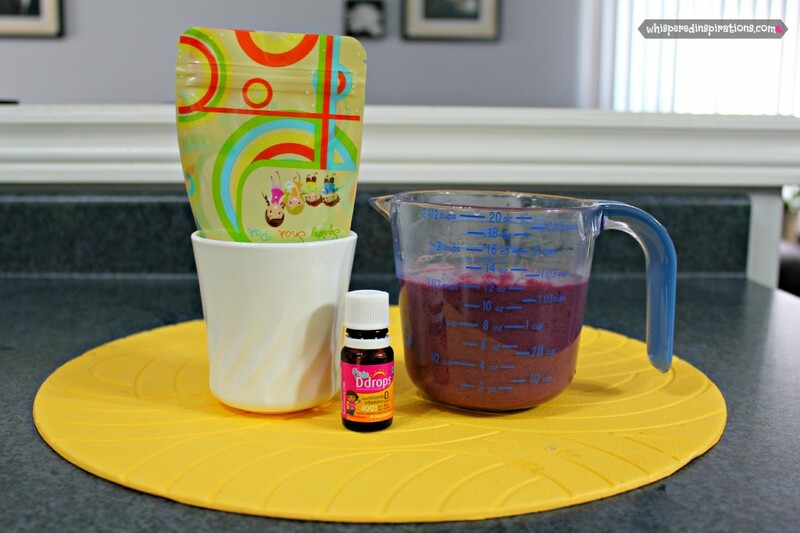 You can fill it up with 1/2 cup of your favorite concoctions and wash and reuse over and over again! Healthy Snacks You Can Trust. Well, because, you make them yourself. I made organic pureed food for the girls as babies and felt happy that I knew exactly what was going into those precious little bodies. Now that they are older, I still have that same worry and I honestly think these packs are genius. I even added a drop of Vitamin D to the Snak Paks so that they had their daily intake too. You can even add chia seeds to add that extra punch of healthy! They have window vents so that you can see what is what and they make for a perfect way to store and freeze baby food. Especially since they are portioned at a 1/2 cup. 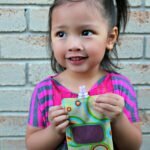 I found the Squishy Snak Paks to be heavy duty, easy to wash and I did not have any spills. Which was a worry of mine as soon as I saw that the closure was at the bottom. Another thing that I was stoked about is that they get every last drop, I noticed that Mimi could squeeze out every single drop without folding the bag or rolling it, we just pushed it up and every last drop was enjoyed. My only suggestion would be to rinse the Squishy Snak Paks as soon as you can, even if you’re out and about. You can unzip the bottom and let the water run through. If you don’t get to it right away, you can always place the opened packs and caps in warm soapy water. 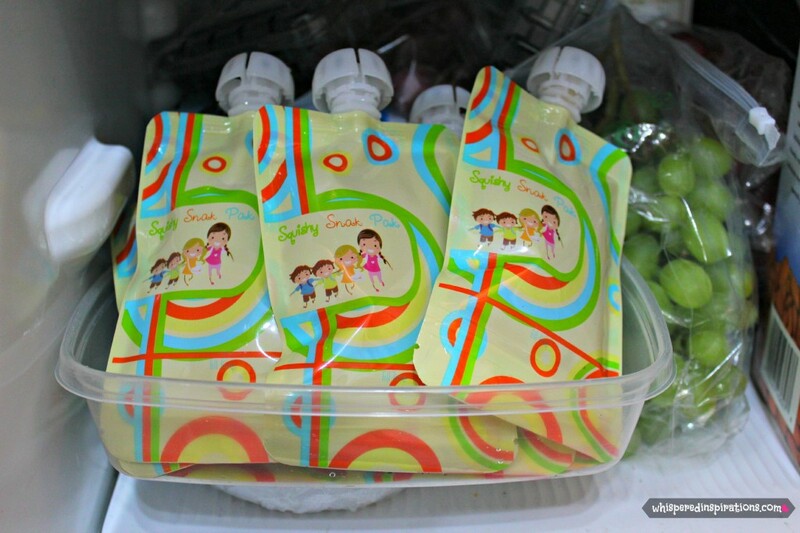 Squishy Snak Paks: Delicious, Healthy and Organic Snacks That are Good to Go! This is a puree that is good for babies and kids. It is packed with anti-oxidants and protein. Take 1/2 cup of vanilla almond milk and add to a saucepan at medium heat. Wash 1 cup of blueberries. Separate the egg yolks from the egg yolks. Which egg yolks in a separate bowl until fully mixed. 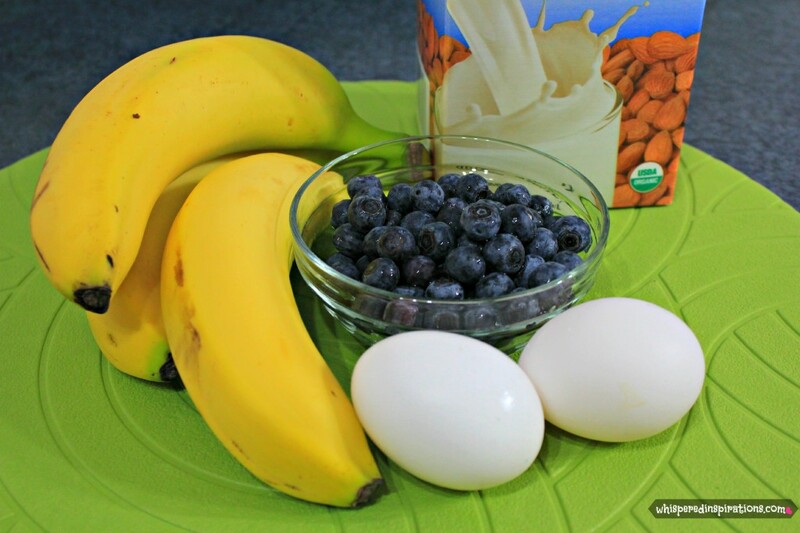 Add blueberries and bananas to the almond milk until softened. Add yolk mix to the mixture, don't be alarmed that egg will cook in chunks as you stir the mixture. Once they are softened and egg is cooked, remove from heat. Add entire mixture to your favorite baby food maker or food processor. Let cool before you add to the Squishy Snak Paks. I used a mug to help me guide and support the Squishy Snak Pak and a measuring cup to help me pour in the mixture. Attach the cap before starting! I poured in a little bit of the Blueberry Banana Custard into the pack first, then added a drop of Vitamin D, then I finished pouring the rest of the mixture in. I sealed it and it was good to go. The next flavors I made were Banana Nut Cream and Pear Nectarine. I cut the bananas in half, cooked them in 1/2 cup of almond milk and then pureed them. With the pears and nectarines, I used water as the base, peeled them, cut them and removed all seeds, cooked until soft and pureed them. After I made all my Squishy Snak Paks, I just placed them in a Tupperware and put them in my fridge. So far, we’ve used them every time we go out. They’re perfect for a bit of hydration, vitamins and simply just taste good. I will be getting more adventurous and making fruit and veggies Squishies. I love the fact that even if the girls don’t eat them in a good length of time, that they are freezer-proof and they can go right into the freezer to hold for even longer. Though, this batch went very quickly with March Break that just passed. I am also in love that they are BPA-free and green, while the store bought packs were convenient–they were one-time use only and couldn’t be reused. You can buy your own by heading over to Squishy Snak Pak and ordering right from their site. They pay for themselves after multiple uses at 2 for $9.99! I think that they make a great addition to eco-conscious parents on the go! You can buy them, here. If you’re looking for another great kids snack, make these easy banana chocolate chip muffins. Do you make your own baby food and kids snacks? Looks delicious and I love that they are filled with homemade snacks! I'll have to give these a try when my little guy is older. Oh these seem super fun for the kids! I love the designs and that they are reusable. 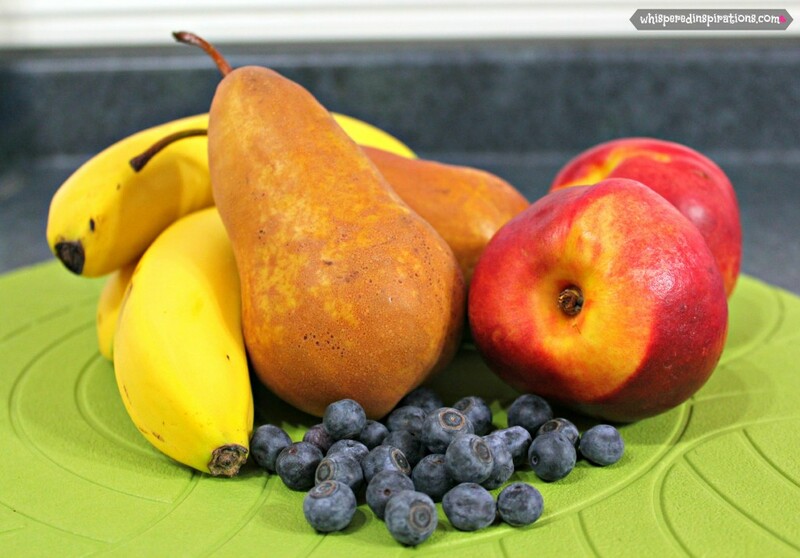 That way you can put in all the fruits your kiddo likes and know that they're getting in their fruit or veggie servings of the day. I'll have to look into this, definitely something that I'd love to go in my kids lunch bag to school. These would be great for packing the smoothies I make for road trips, lunch, or just to have some ready to go in the freezer. My kids always ask for some but the cups I have aren't the best for them and with these I wouldn't have to worry about spills! These look so yummy! I am sure my kiddies would really enjoy them. Your daughters are so cute! I think I would make smoothies! Strawberries, milk, ice, protein powder, yogurt. Yummy! My recent post Sugar n Spice VoxBox 2013!!!! my kids would like the Apple and pear with Cinnamon puree! I would make pear and apple sauce. My son loves both of them, and we are on the go so often. no need for jars and spoons! Apple and pear with Cinnamon looks delicious!!!! I'd make applesauce for my girls! I would make strawberry applesauce. I would fill it with a green smoothie both my kids (4 and 1) love! Banana, apple, kale, hemp seeds, ginger and turmeric roots, almond milk and walnuts. A little date molasses and vit D et voilà! I'd like to put some smoothies in these packets! Applesauce or a mix of potatoes and greens. My kids love both! Avocado and banana sounds soooo yum! I'd do lots of fruits blended with squash and spinach for extra veggies! I love making my own baby food! I like to combine stuff like sweet potatoes and apples in to other veggies to sweeten it up. Apple & pear without cinnamon. Pour over greek yogurt. I'd put Blueberry and banana in it with some yogurt. I like the Apple and Pear with Cinnamon. Very easy to make and tasty. These look awesome! My little guy just loves apples and blueberry puree, so that's probably what I'd try out first. 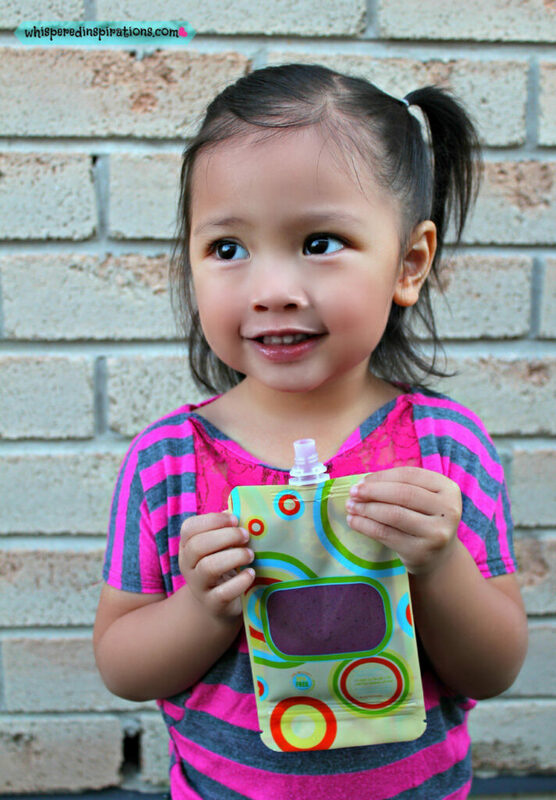 We love Squishy Snack Paks over here too! I have one for each girl, and we usually just fill them with applesauce or yogurt but this recipe looks delicious! I just love that they are filled with healthy homemade snacks,i would add lots of greens to ours! I hadn’t heard of these packs. What a great idea.